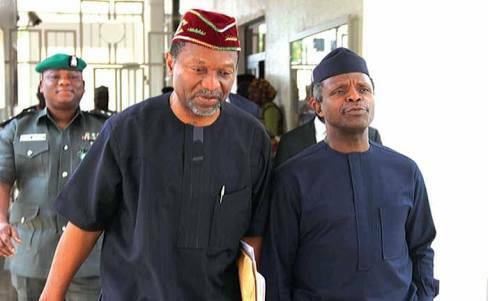 The Minister of Budget and National Planning, Udoma Udo Udoma, has assured Nigerians that the economy would be better in 2018. Udoma gave the assurance in a statement signed by his Media Adviser, Mr. Akpandem James, in Abuja. The minister spoke at an economic forum organised by the Redeemed Christian Church of God (RCCG), Kings Court Parish, Lagos, on Sunday. He said the economy would significantly be better in 2018 going by the consistent positive trend of key indicators since the country emerged from recession in the second quarter of 2017. He said international and local rating agencies had shared same view that the Nigerian economy would grow rapidly in the year. Udoma said the growth would create opportunities for investment in agriculture and agro-processing, industry, mining, construction and services. The minister, however, assured that the Federal Government would continue to sustain the implementation of the Economic Recovery and Growth Plan (ERGP). “The government is determined to lead in that effort and appealed to the private sector to respond to the various initiatives which the government has been rolling out. “There is no doubt that more work needs to be done and we all must work together to achieve sustainable results,” he stated. Udoma said the ERGP was designed to tackle constraints to growth, leverage the power of the private sector, promote national cohesion and social inclusion, allow markets to function and uphold our core values.